I miss the old days when Mech games were popular. Classic game series like MechWarrior, MechAssault, and Armored Core will always hold a special spot in my gaming memories. The current gaming generation is lacking traditional mech games. However, there is a reasonable amount of Mech sub-genre and Japanese Mecha games worth playing on current generation consoles. 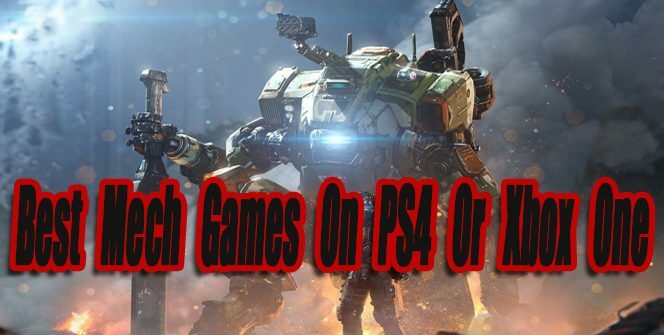 This article features the best Mech games available on PS4 or Xbox One so far. When new worthy games are released, this article will be updated. 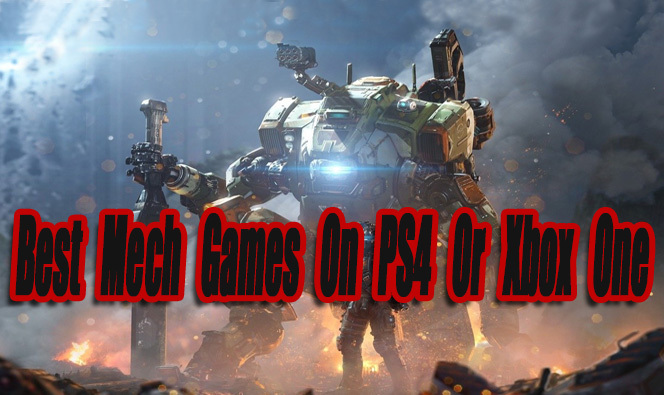 Titanfall 2 is the perfect game to play if you want to experience a mix of Mech combat and traditional first-person shooter gameplay. 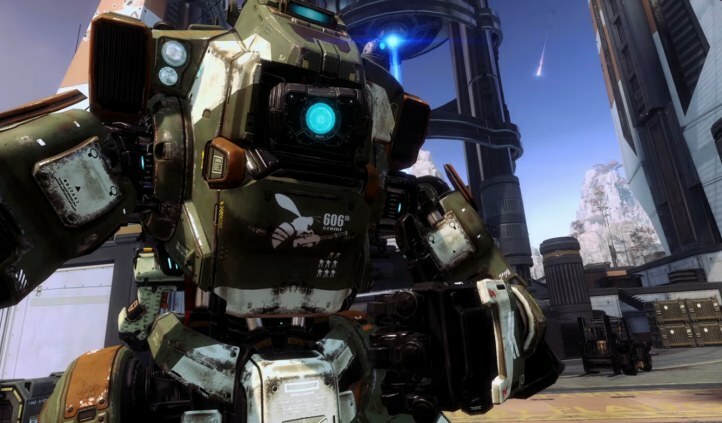 In Titanfall 2’s campaign, you will control a Soldier named Jack Cooper who also pilots a Mech named BT-7274. The campaign is a blast to play through with impressive action-packed pacing and level design, but sadly it’s a little on the short side, around 6 hours long. Titanfall 2’s story is equally impressive, with a heavy emphasis on the bond between Jack Cooper and BT-7274. In the online multiplayer modes, you will play as a Soldier with the ability to call on a Titan (Mech) when they’re available. You will battle against both human soldiers and mechs. There are 6 different Titans to choose from, and all have different weapons, strengths, and weaknesses. The online multiplayer is still very active with a large player base on both PS4 and Xbox One. If you’re interested in Mech and first-person shooter games, you have to check out Titanfall 2. You can find Titanfall 2 for under $12 now, which is a steal. I guarantee you haven’t played a Mech game like Iron Brigade. Iron Brigade is a 3D Tower Defense game where you play as a Mech that’s trying to protect certain areas from being destroyed. The world is full of attacking aliens that are trying to bring extinction to the human race. Your job is to stop these aliens with firepower. This game takes place during an alternate reality of World War 1. You start out with an old rusty Mech, with average firepower. As you progress through the game and earn money, you will be able to upgrade and customize every part of your Mechs armor and weapons. Surprisingly the gameplay is very addicting and the story is interesting. Besides blowing up aliens with your Mech, before every enemy wave you can place down upgradable robotic weaponry units. Iron Brigade was first released for the Xbox 360 but is now backward compatible on Xbox One. Overall Iron Brigade is a unique mech game that shouldn’t be passed up if you’re interested in Mechs or Tower Defense. 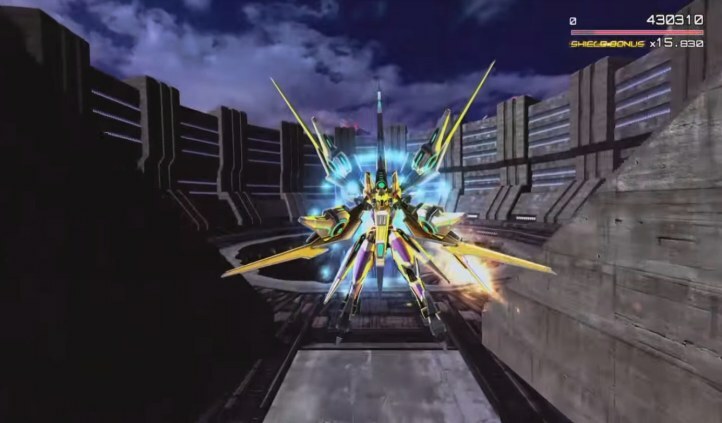 If you’re a Mecha Gundam fighting fan, Gundam Versus will probably appeal to you. It’s basically a large scale arena fighting game where you can battle multiple opponents up close or from a distance. There is a large variety of playable Mecha’s to choose from that span across the Gundam series. Each Gundam Mecha feels unique in battle, with there own move sets and attacks. The graphics are great and the gameplay is fun once you get used to the fixed camera. 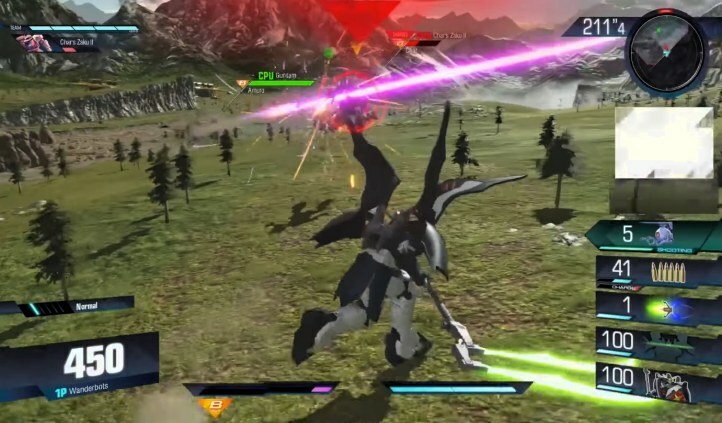 Gundam Versus features a single player horde style mode that’s good for practicing, but this game is most fun when played online versus other players. 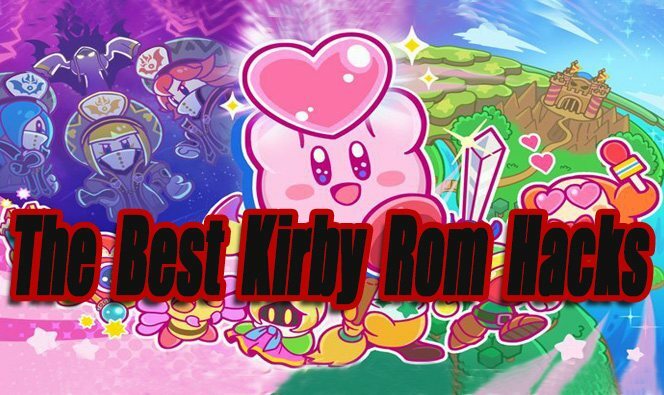 The game is lacking modes, but if you plan on playing it strictly online it’s worth your time. The online community is still very active. RIGS Mechanized Combat League is a PSVR competitive single player/online Mech battle sports game. RIGS: MCL is one of the better PSVR games available so far. In the campaign mode, you will participate in various different matches vs bots in arenas. The announcer commentating is spot on and he always keeps the games energy level high. The graphics also look great in motion and the game runs smoothly most of the time. What’s most impressive is how well the game works in VR and how immersive it feels. The competitive online modes such as Deathmatch will likely entertain you for a while. When you progress and level up you will be able to unlock new RIGS (Mechs) with your earned money. 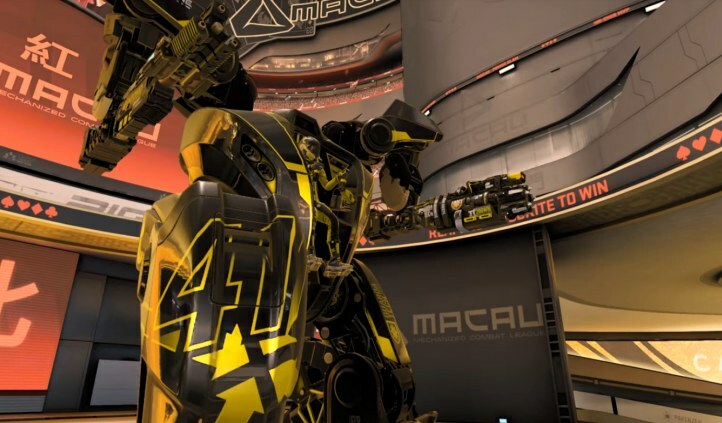 Overall if you enjoy competitive online games and happen to own a PSVR, RIGS: MCL won’t disappoint you. On a side note, RIGS: MCL might cause motion sickness if played for too long. Stardust Galaxy Warriors: Stellar Climax is a 2D side-scrolling Shoot ‘Em Up (SHUMP) Mecha game. Travel through space playing as one of five combat Mechas. You’re on a quest to destroy all evil that threatens the innocent life forms of the solar system. 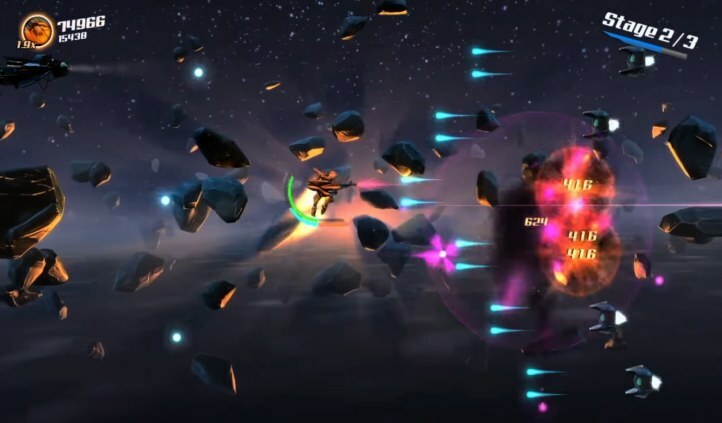 Stardust Galaxy Warriors features 10 action-packed campaign levels to play through. There are light RPG elements that let you add perks to your Mechas. The game is most fun when played with 4 players co-op locally. I thought the level design, bosses, and soundtracks were done well. Overall Stardust Galaxy Warriors is an addictive 4 player SHUMP that’s worth your time. This game often goes on sale for under $7 making it a good value. 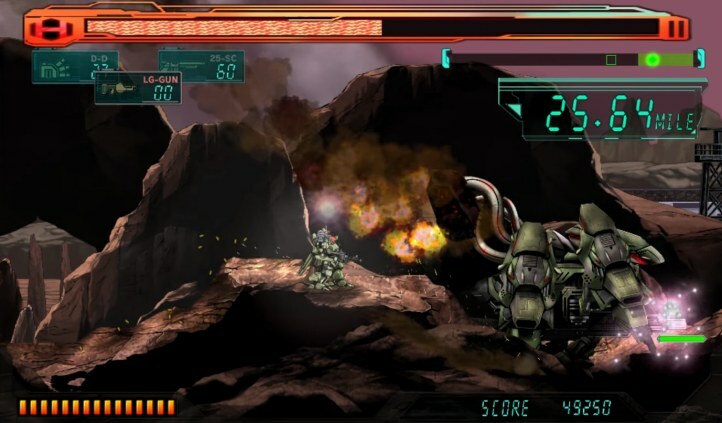 Assault Suit Leynos is a 2D side-scrolling action/SHMUP Mecha game. It was previously released on the SEGA Genesis in 1990 and was known as “Target Earth” in North America. Assault Suit Leynos’s full HD remake was released exclusively on PS4 in 2016. The game features all-new graphics, sounds, and voice acting. Other than those additions this remake and the Genesis classic are about the same. In this game, you will play as a Mecha Soldier, on a quest to stop an alien invasion that threatens planets. Blast your way through 8 levels, battling against alien enemies and huge bosses. If you’re craving retro 2D action gameplay, Assault Suit Leynos is worth checking out. Keep in mind though, this game will only take about 2 hours to beat. Astebreed is a 2D side-scrolling Mecha shoot ‘Em Up (SHUMP). The game features fast action shooting/melee attack gameplay. When I first played Astebreed, I was really impressed by the overall quality of the game. The graphics are really nice, the frame rate is silky smooth, and the changing angle views keep the action interesting. The level designs and bosses are all unique to one another. The gameplay lock-on system is also unique, making shooting and Melee attacks merge together well when fighting enemies. The music and Japanese voice acting is spot on. Overall I had a lot of fun with Astebreed and I could tell the developers spent their time trying to create a memorable and unique SHMUP. On a negative note, Astebreed is only 2 hours long with not much replay value besides gaining a higher score. 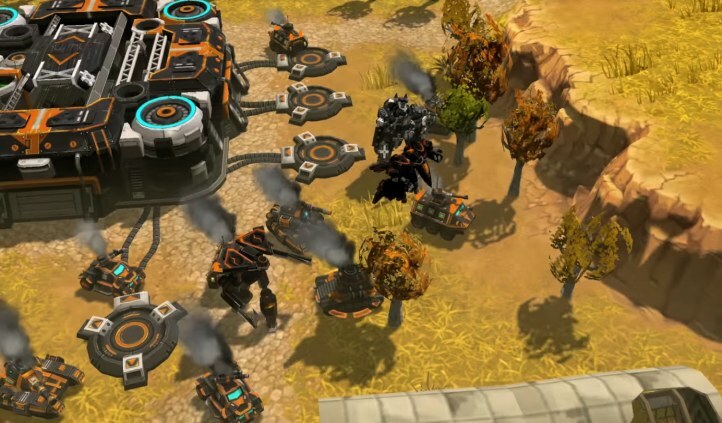 AirMech Arena is a free to play Real Time Strategy (RTS) Mech game. Like other RTS games, you have a base where you can build a variety of attack and defense units. The main unit that you will be controlling for the majority of the time is an Air-Mech. It’s a Mech that can also transform into an aircraft. Playing solo vs the computer is good for practicing and leveling up until you become better at the game. The competitive player vs player (PVP) can become intense at times. There is some pay to win elements in AirMech Arena, but the game tries it’s best to match you against similarly skilled opponents. If you like RTS games, Airmech Arena is worth a shot since it’s free. 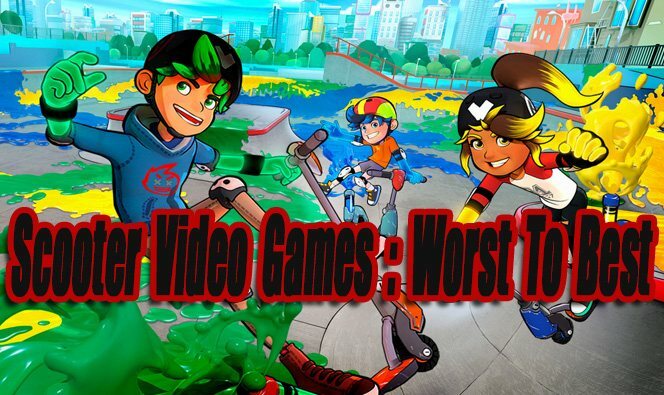 The following games either barely missed our top list, are loosely related to mechs, or are worthy Japanese imports. Gundam Breaker 3 Break Edition (Japanese Import, English Subtitles Available) (PS4 Exclusive) – I haven’t played this game, but I heard it’s the best Gundam game released on PS4 so far. It’s sad that it’s import only. The game’s content is beefy and offers loads of Gundam Customization’s. Cyber Troopers A Certain Magical Virtual-On (Japanese Import, No English Subtitles) (PS4 Exclusive) – Another Import I have not played, but I heard was good. It’s a Mecha arena fighting game. I loved Virtual On: Cyber Troopers on Sega Saturn back in the day. Titanfall – The original Titanfall is a great online multiplayer only game, but it’s inferior to Titanfall 2 in every way. The player base is really small now also. Transformers Devastation – Not sure if Transformers qualify as Mecha or not, since they are giant combat robots but not human-piloted giant robots. Transformers Devastation is an exciting, yet challenging fighting/action game. Seriously some areas of this game felt like I was playing Dark Souls, that’s how difficult it becomes. Assault Gunners HD EDITION (PS4 Exclusive) – A indie Mech game that might be worth checking out. It’s not the highest quality game out there, and kindly reminds me of a phone game, but it still has a lot of action in it. 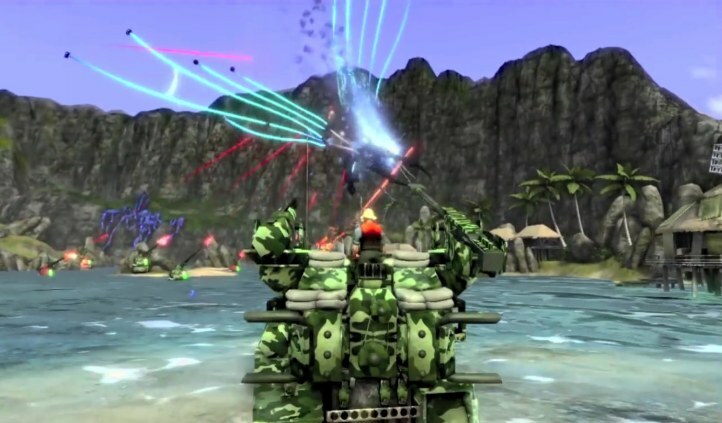 Earth Defense Force 4.1 (PS4 Exclusive) – Hordes of giant bugs/aliens have taken over the planet in Earth Defense Force 4.1. Armed with a jetpack and an arsenal of heavy guns play through missions blasting bugs dead. There are moments in this game were you get to play as a giant Mech and battle against other Mechs. Hawken (Free To Play) – Hawken is a good online multiplayer only Mech game. 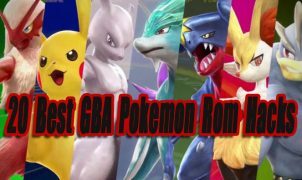 The competitive battles are really fun once you learn how to play. The only problem with Hawken is that the community is almost dead. When playing online its like a ghost town. Finding real players is possible, but it might take a while. Strike Suit Zero: Director Cut – Mostly a flying combat game, but when in battle you can transform into a dangerous Mecha. Helldivers (PS4 Exclusive) – A great Top Down Co-Op action game. Some of the enemies you battle against are Mechs. I am very excited about Anthem. The graphics, gameplay, enemies, and environments look impressive so far. I can’t wait to team up with other friendly Mechs online. A high-quality Mech fighting game that looks good!